Operating as one of the leading homestay booking portal in Malnad region, Travel Malnad has gained enormous experience in designing your itinerary with precision. The stays with us are shortlisted after a thorough quality check and customer feedbacks. These are your pre checked holidays and you can travel comfortably without worrying anything about your trip. The destinations we have covered for you are the best and our local knowledge cannot be compared to any service provider. We help you get the best holiday experiences at secured place for your family and friends group. If you are planning a trip to experience Malnad Hospitality then we have several stays, itineraries, planners and unique holiday ideas. These are designed over a period of 10 years of experience and working closely with travelers who have a great idea of exploring the destination and relaxing during their leisure. We can call this as a first hand holiday planner experiences presented to you for a quick decision making. We have been known in the market for a special reason as our USP is dealing with best and unique homestays of Malnad. Do you love to visit a nature holiday destination? Then its Malnad homestays in Karnataka that has everything to offer you from lush green landscapes, hill stations, valleys, waterfalls, mouth-watering food, forests embellished with coffee and areca plantations all through the Malnad Region. Cover the beaches as well! If you are staying somewhere close to Thirthahalli or Agumbe then you have chance to visit Coastal Karnataka by a short drive. The beaches are just at a 2 hour drive from Thirthahalli one of the top destinations of Malnad Region. Travel Malnad can offer you top class beach facing wooden cottages and suites for your stay. You can plan a 3 Nights 4 Days trip with us which will cover all best regions. 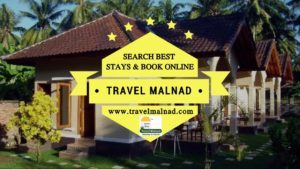 Quiet simple, you can log on to our portal www.travelmalnad.com and start shopping as per your budget and itinerary requirement. You can take a quote and we help you plan a trip without much hassles. You can drive your own vehicle or just go online with our partner portals to rent an outstation taxi or vehicle of your choice. We have simplified the holiday planning to rural Karnataka with best technology and services designed to meet different traveler requirement. Spirituality has several interpretations and philosophies attached to it. One of the dimensions of it is entrenched in the beauty of Nature. We are going to be mesmerized or soothed by the unmatchable beauty of Mother Nature one or the other day. Some of us acknowledge it immediately and some keep searching for its meaning until it’s experienced. That’s the specialty of Nature and has been worshiped by our ancestors from several decades. Many of our festivals are centric around celebrating the magnanimity of the natural wonders around us. As we are engrossed in the current technologically forward lifestyles and jet setting schedules we don’t get time to even look at the flower in our own garden that has blossomed this morning. We would be on a phone call or struck in the traffic while we are crossing a beautiful park in our city. We do not get time to even imagine that we are spending our weekend amidst the forests or green woods along with our family. Thanks to the urbanization and modern lifestyles which has kept our children completely disconnected with nature. They no more play in the mud or even touch the soil as our sophistication and gadget craze has made them ignorant about nature. Our analysis is showing that now with increasing in number of homestays and resorts in estates and forest areas of India more and more people are visiting nature regularly. It’s a good news for parents in cities who would love to send their kids on a children’s camp in some of the homestays located amidst nature and do things like bullock cart ride, farming, trekking, and playing in water, team building activities… The awareness is growing among all of us who are very busy in the rat race that we should shape the future of our children by giving them opportunities to do activities and learn amidst the magnificence of Mother Nature. The discreet god called nature is blessing us daily in the form of a breeze, rain, cool temperature or even with fluttering of leaves. All we have to do is to keep our senses open to the nature around us and be sensitive to it. Why the temperature is soaring in cities? Is it because nature is at wrong? No, we should blame ourselves for increasing number of vehicles than planting more trees in the cities. We should consider our younger generation as they might be the one who will face the brunt of destruction caused to nature by us. If you are a nature lover and have plans to visit a quiet place amidst the green woods in any parts of South India you can write to us at info@travelmalnad.com or call our hotlines at 9480595888 / 9480565888 / 9187272472. We will be more than happy to be at your service to organize your family or group visit to beautiful destinations and experience the enchanting moments amidst nature. The intense and pressurizing work conditions in the cities have made a lot of corporate travelers to look for retreat to nature and unwind themselves during their leisure time. The end result of this situation is creation of several homestays, resorts and hotels in and around pristine nature in Karnataka. The private players have played an enormous role in the upliftment of the quality of hospitality services in Karnataka. One such place is Chikmagalur, which is located amidst a large landscape of coffee estates and planatations. The coffee tour will be a different kind of holiday experience for many travelers. Several people who travel from lengths and breadths of the country have used our homestay/resort services and returned back with fond memories. There are tailor made packages and exclusive accommodation and food facilities as per your individual requirements. As our team is specialized in designing packages and handling the execution of the same we are one of the most trusted travel partners for many tourists from domestic and international. Chikmagalur homestays offers a proper blend of adventure, history, relaxation, rejuvenation… activities for travelers. There are places like Belur and Halebeedu which is reknowned worldwide for the rich history and watersports at Yagachi dam… You speak to our travel experts and get information as per your travel planner. Last but not the least, roads play a very prominent part in giving good experience for the travelers. 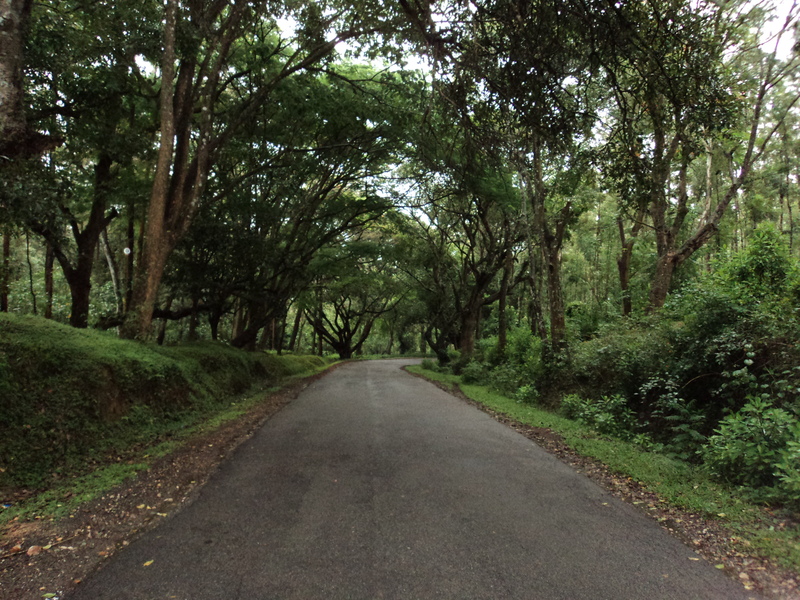 Chikmagalur is blessed with good roads, thanks to the local administration though there are few minor roads which needs to be fixed, all major ones are in good condition. We have made travelers from nooks and corners of the globe coming to Chikmagalur. High priority is given to safety, hygiene and security for travelers during their stay amidst coffee estates in Chikmagalur. We guarantee best rates for our travelers and promise best service during their trip. We proudly say that nobody can give rates as low as ours and the gifts, discount coupouns, shopping cards… are countless for our travelers during their booking. Always couple of questions that weigh in the minds of the tourists is where to stay? What to do while visiting any place?. 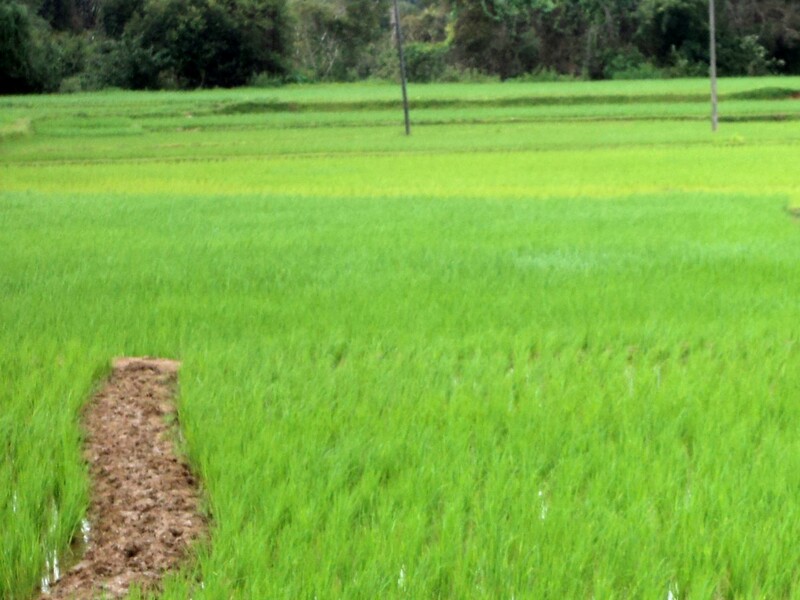 Those who are coming to Chikmagalur have to spend a little time planning their itinerary systematically. Time management is one of the major constraints that change travel planners of any tourist. Accommodation also plays an important portion in the holiday planner because that is where you are going to relax and refresh yourself. There are top class homestays and resorts in and around Chikmagalur in Karnataka. How to figure out which is the good accommodation? This part of the holiday planner is simplified by travel portal like Travel Chords and Travel Malnad. The best homestays at Chikmagalur that is located in and around the beautiful landscapes are listed and promoted by travel chords. There is also a detailed description of the place, gallery, facilities and also online enquiry and reservation system for rooms. Travel Chords has understood the pulse of the tourists who want to spend quality time in a location enjoying the nature as well the luxury of resorts in Chikmagalur. You can access information, get quote, compare quotes, compare the facilities of homestays and resorts in Chikmagalur in one shot and make an informed choice of room reservation while visiting Chikmagalur. Prior reservation system which is online saves a lot of time and also authenticates the room reservation with vouchers and receipt. What are you waiting for? Shop at travel chords, book holiday and travel to Chikmagalur. Let us take homestays in Chikmagalur first; we need to have a taste for trying local cuisines and living the ethnicity of Chikmagalur plantation life. 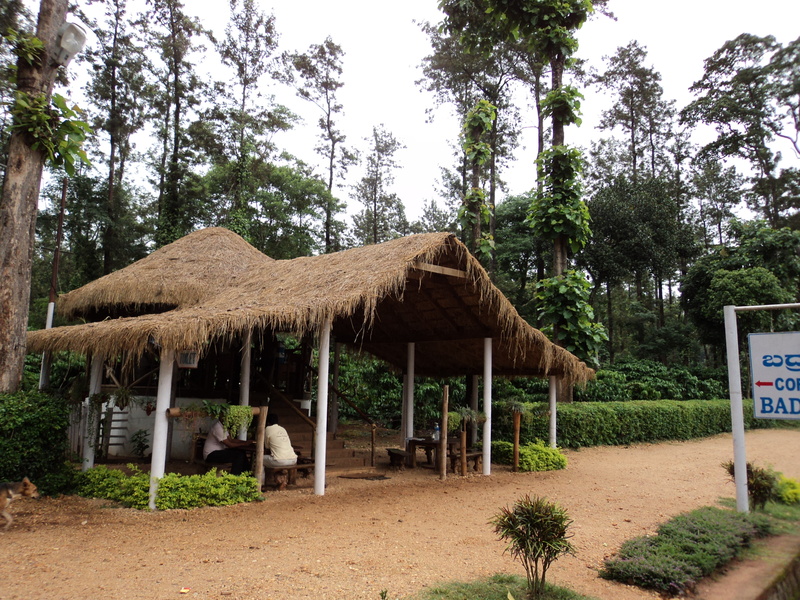 There are many homestays in and around the chikmagalur area. Prudent travelers will be on a portal like travelmalnad to compare homestays and male an informed choice. The selection and booking facility for Chikmagalur homestays are available at travelmalnad online service. As much as there are homestays, travelers will also find a lot of resorts in Chikmagalur that fall in standard, premium, luxury and star segments. How do one know the holiday planner idea? Where to compare? How to choose online? All your answers are at TravelMalnad, the professional holiday consulting services of Malnad region in Karnataka. Choose the best place for your holiday and spend your money for a worthy package.